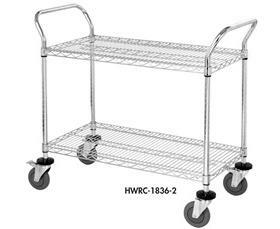 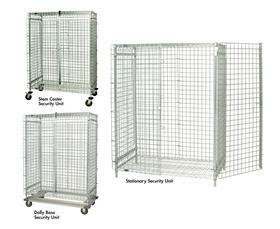 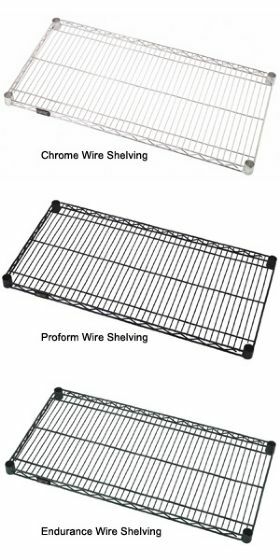 Wire shelving has many height and other options for the industrial shelves. 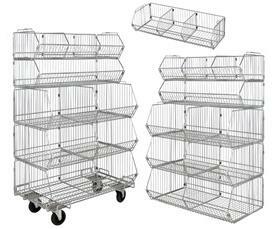 Wire shelving allows for easy accessibility and visibility of the products placed on wire shelves. 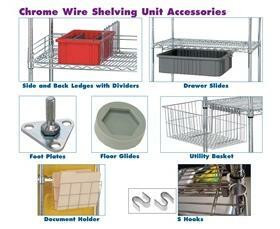 There is chrome wire shelving which allows you to create your own shelving system. 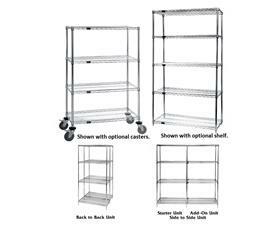 This storage shelving is also easy to assemble. 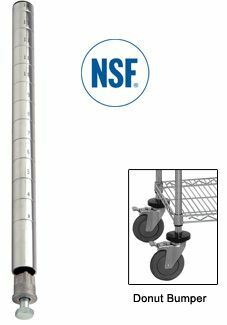 *Free shipping is for commercial location with loading dock or fork lift within contiguous 48 U.S. only and does NOT include Lift Gate service, Military Base, Limited Access, Residential, Inside Delivery, or any other "extra" charges.